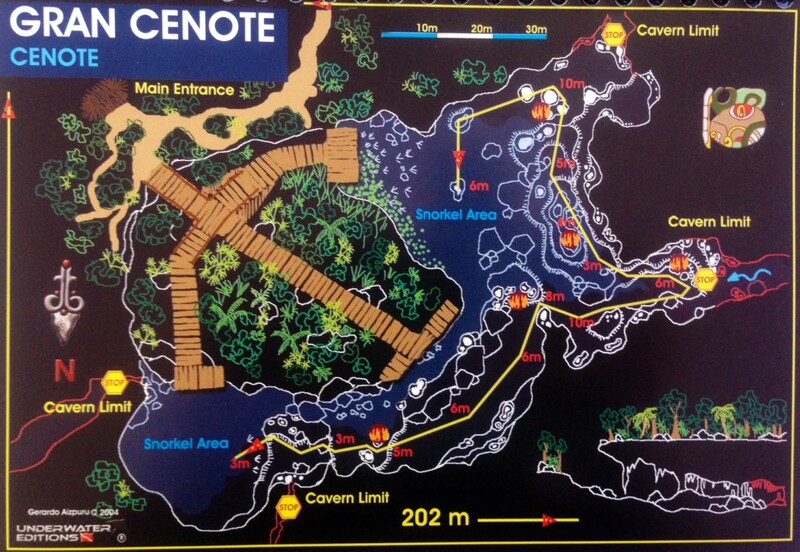 The cenote is a deep natural well or sinkhole formed by the collapse of surface limestone that exposes groundwater. Mexico has numerous cenotes around its territory, and they are considered significant by the locals. The ancient Maya respected the cenotes, and the Mayans depended on the cenotes for the freshwater sources all year round. They believed Xibalba, the underworld, and the god of rain, Chaac, lived at the bottom of the cenotes. Interestingly, most cenotes in Yucatán Peninsula of Mexico, are connected through an underwater cave system called Sistema Sac Actun. Sistema Sac Actun with the length of 335 km (208 miles) is the longest cave system in the world after Mammoth Cave in Kentucky (USA). We visited the Grand Cenote in Tulum (Mexico), one of the cenotes that also in the Sistema Sac Actun. The cenote is popular for snorkelers and scuba divers. Dutchie and I did scuba dive inside the cenote and it was magnificent. We did not enter the caves that connected throughout the cave system Sac Actun, but we scuba dove around the cenote itself. The inside of cenote is covered by the freshwater and it was surprisingly huge. We were diving following the yellow line. As you notice, it was not deep but the cenote was covered by water except the snorkel area. Inside of the cenote, we saw stalagmites, stalactites, and columns, just like the following images. Our dive master, Julio, was in these images. He led us when we were exploring the cenote. It’s exciting to see the stalactites under the water but at the same time, it’s weird to scuba dive without seeing any other living species other than us. 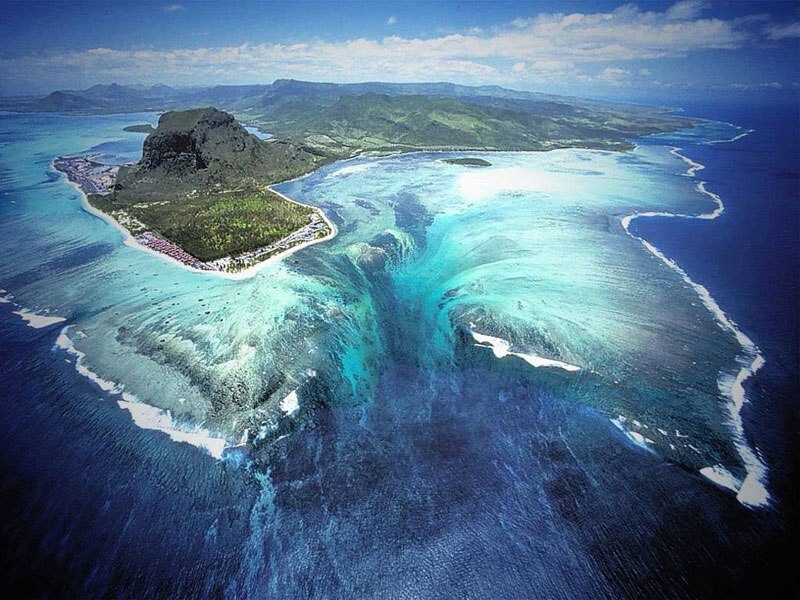 I wonder if there were more underwater cave systems in the world that still unknown. Have you been exploring a cave? Indah, that is awesome! I can only imagine how surreal that must have been. I swam in a couple of denotes and that was great, but diving must be a whole new level. Hi Jeff, thank you! It was quite unique, I must say, especially the cenote has an interesting history. We visited one of the cenotes that has “river” inside at 25 meter depth. We were told the cenote was haunted as well..oh gosh.. Caves are beautiful – I would love to see an underwater one! We have done some cave exploration but not with scuba gear. A fascinating look and I imagine there are still many to be discovered. bookmark dulu untuk referensi traveling ke depan. Another great destination Indah, and the second shot you have here is so pristine in feeling. Nothing like being engulfed in beauty. Quite a dive Indah. Yucatan was actually my introduction to Mexico a long while ago. (No cenote dive though).